The attorneys at our law firm have been named Super Lawyers; they have earned the highest peer review rating possible of AV Preeminent* from Martindale-Hubbell; and they hold an Avvo rating. The State Bar of California has also certified a number of our team members as family law specialists. For us, however, the most important recognition comes from our clients. Countless people have told us how important our compassionate representation through their case was, or how our constant professionalism was reassuring during an otherwise troubling time. Part of our exceptional work stems from our constant pursuit of excellence. We are members of groups such as The State Bar of California. Even beyond the courtroom, our law firm serves our clients. Our attorneys regularly volunteer their time with local nonprofits and organizations. 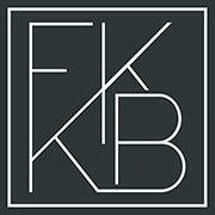 As a matter of convenience, Flicker, Kerin, Kruger & Bissada LLP accepts credit cards.